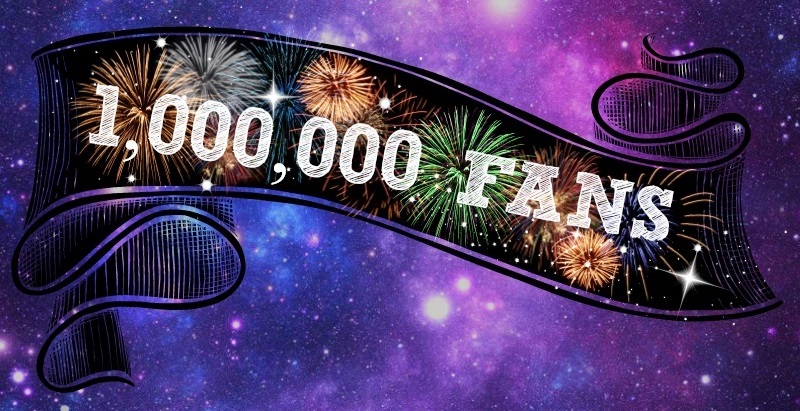 Today, a little more than a year after our founding, From Quarks to Quasars celebrates our 1,000,000th followers on facebook. To some, this may seem like a silly milestone to commemorate, but what started as a small page interested in increasing scientific literacy, has grown into a fully-fledged organization–one that will soon be able to host scholarships, fund grants, contribute to scientific research, and (as always) provide people with free access to information regarding the latest developments in scientific news and research. And none of this would be possible with out all of you, so we wanted to take the time to thank you for helping make all of this a reality. We have come along way over the last few months, and I know we say this rather frequently, but we can’t even begin to convey how appreciative we are of all of you for helping us get to where we are. More than anything, we want to thank all of you for your support in our cause, and for taking an active role in making the world a more scientifically literate place. We have no delusions of grandeur–we realize that we are not single-handedly changing the world, but with your help, we are making a difference. And that’s all anyone could really ask for. To help commemorate this event, we have compiled a list of five of our favorite articles. Hopefully, you enjoy reading them as much as we enjoyed writing them.